American car major Ford India might give a pleasant surprise to all its prospective customer's across the country. The company is in plans to reduce the price tags of almost all their car's, this is mainly due to the stiff competition in which the company is getting badly affected owing to higher price factor. This would also start a price war among all the companies, who would try to woo the customer's with different bargains and offers. The end result would be that the consumer's would be spoilt for choice as they would have a wide variety of cars to choose from. The company would take this major decision of slashing the prices as their sales had plummeted by 4%, whereas the market had generated a consolidated growth of 9% during the same tenure. Ford India was able to sell about 75,604 vehicles in the first 10 months of this financial year. Their older line of cars are gradually failing to attract new customer's and so are the new vehicles, which are unable to generate sales and come into the spotlight. The recent launch of Ford Fiesta AT variant has gathered some hopes from the company, that this new variant would be able to entice the customer's into buying this sedan. 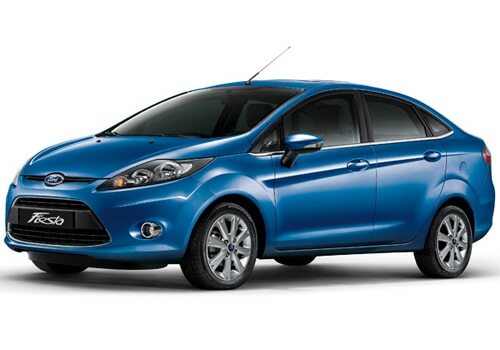 This new Ford Fiesta AT price for the Indian car market is starting at a very competitive Rs. 8.99 lakh (ex showroom Delhi). According to a Ford Fiesta AT review, this sedan is equipped with a state-of-the-art dual clutch automatic transmission gear box. This is the first time that such a gear box is being introduced in the Indian market, which is coupled with a 1.5 liter Ti-VCT technology petrol engine and is also BS-IV complaint. This engine can churn a maximum power of 110 BHP and torque of 140 Nm, which is very impressive and steadfast for this segment..